The Yeezy Boost 350 comprises of premium leather, prime knit upper and a full length boost midsole, sold out after it was released. A majority of the $200 limited edition shoes were even resold by some for thousands of dollars on EBay. 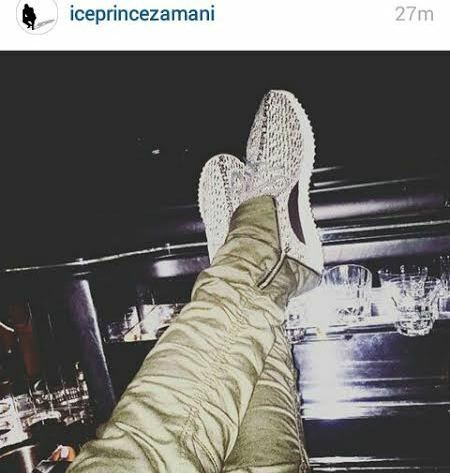 Ice Prince shared the picture on his Instagram Page.